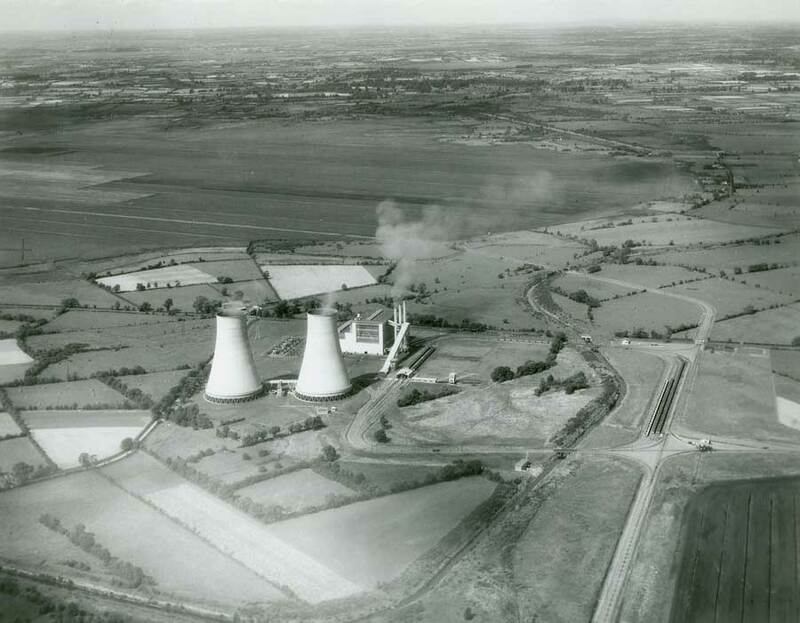 In the early 1950’s, Portarlington and Allenwood power stations were opened as part of the first development programme for peat production. The early stages of draining had to be done by hand. 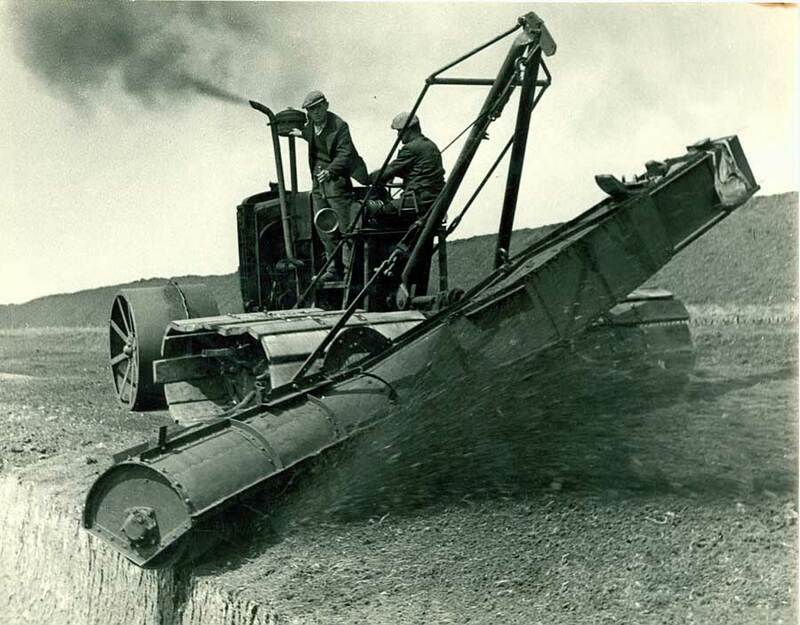 Only when the bog was capable of supporting drainage machines could they be introduced. During and after the war the baggers were redesigned to better meet Irish bog conditions. 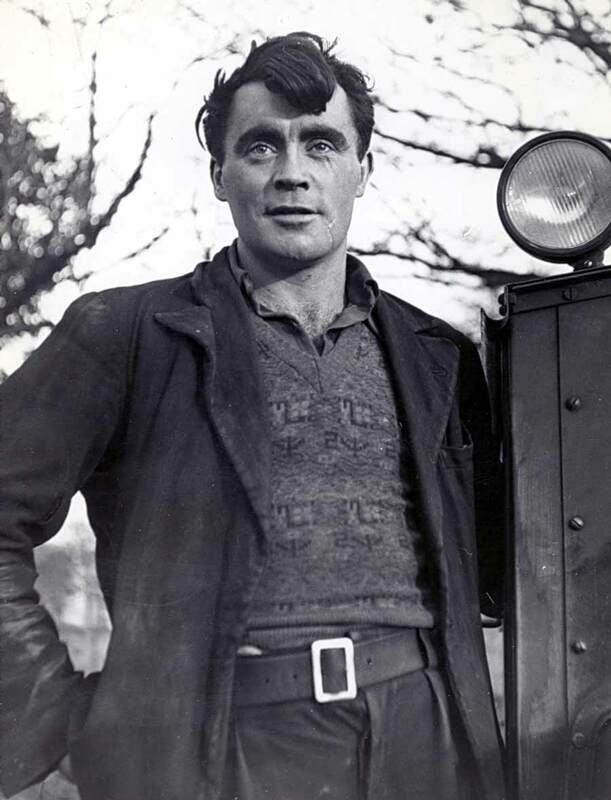 This is one of the Bord na Móna designed machines. 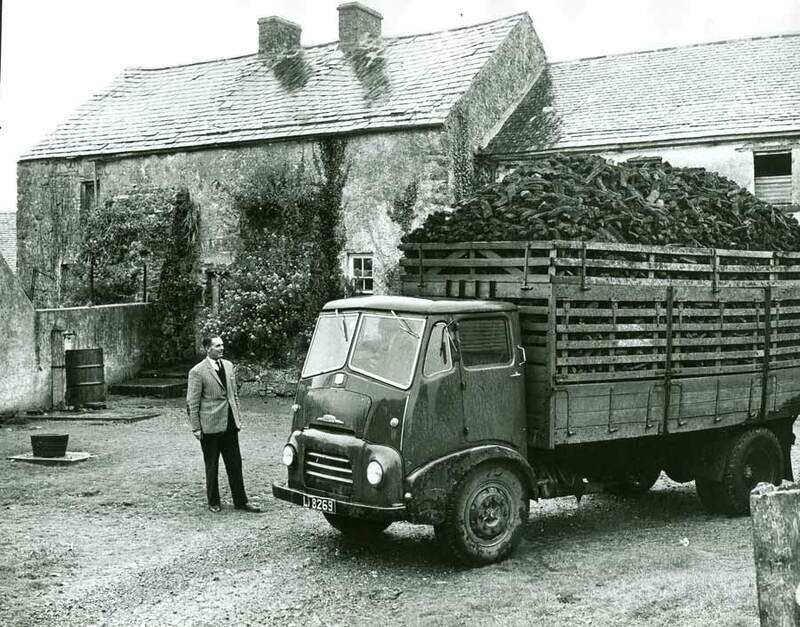 Bord na Móna developed a policy of selling turf on a wholesale basis to any dealer who wished to trade in it. The company also helped to design improved turf lorries. 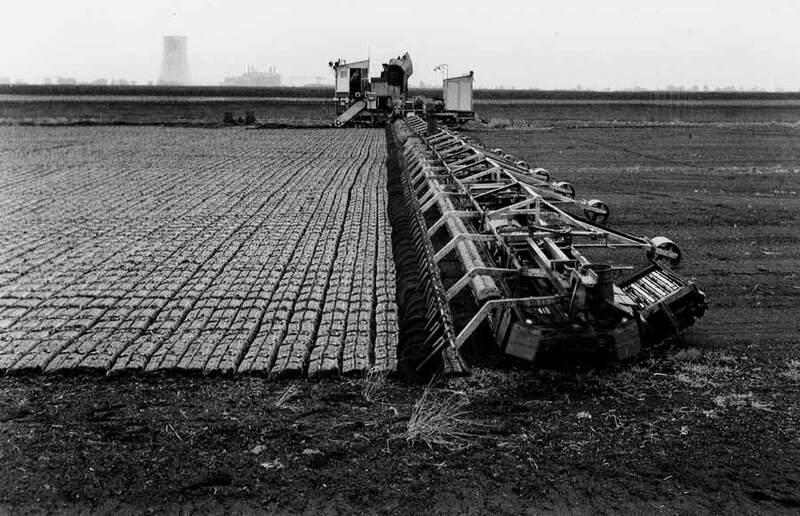 During the 1950’s, mechanical sod peat loading machines became widespread – eliminating the back-breaking manual loading work. 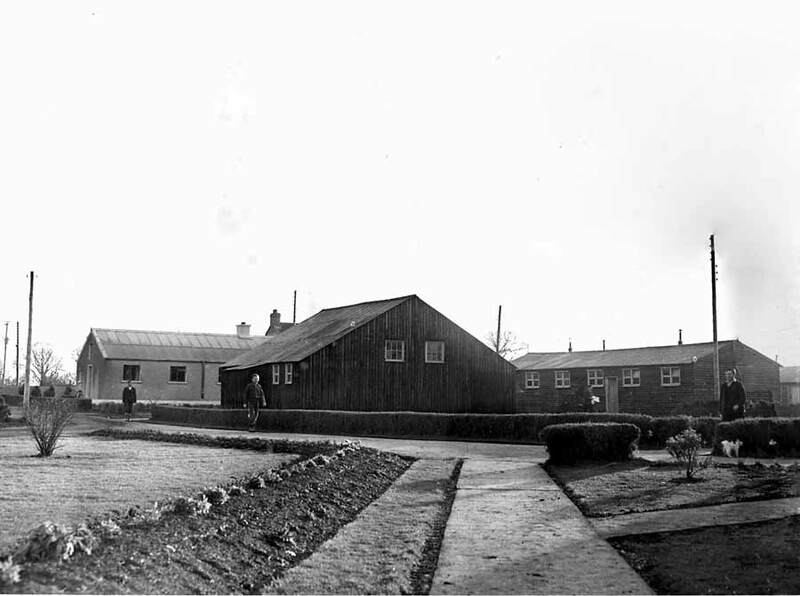 During the first development programme it remained necessary to import workers from outside the areas being developed and hostels were used to house the men. 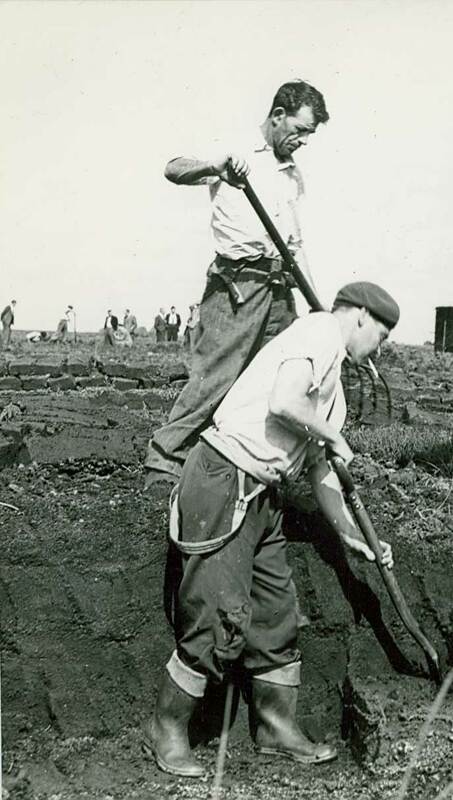 In the early 1950’s there were serious shortages of labour and Bord na Móna made strenuous efforts to increase recruitment of labour. The building of houses for workers was seen as vital for a permanent workforce. In total, 572 houses were built in eight villages. 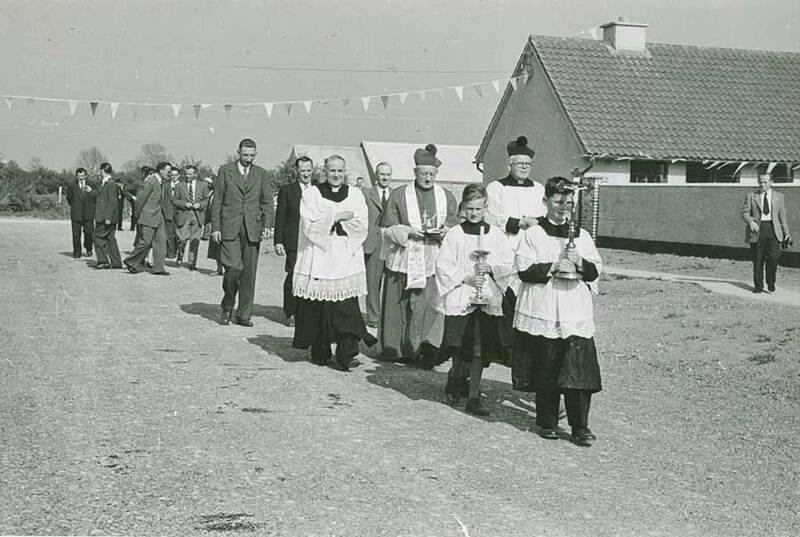 The blessing of the new housing schemes at Mountdillon took place on 8th May 1953. 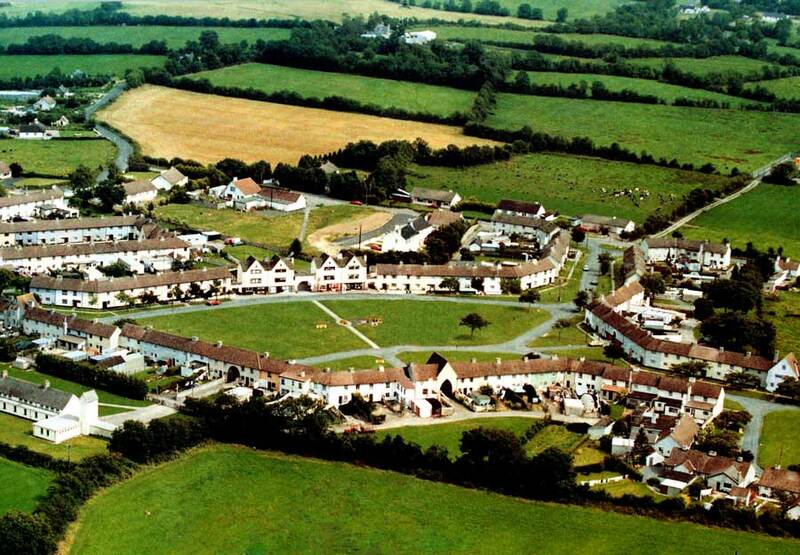 The three schemes contained a total of 154 houses. 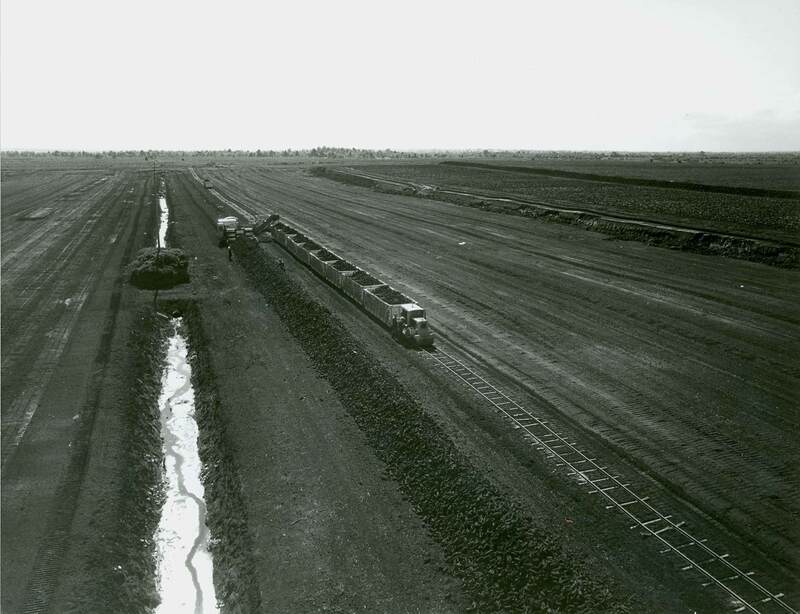 Sod moss was first cut in winter by hand, stored on the bog, and transported by rail to the factory where it was processed into bales. 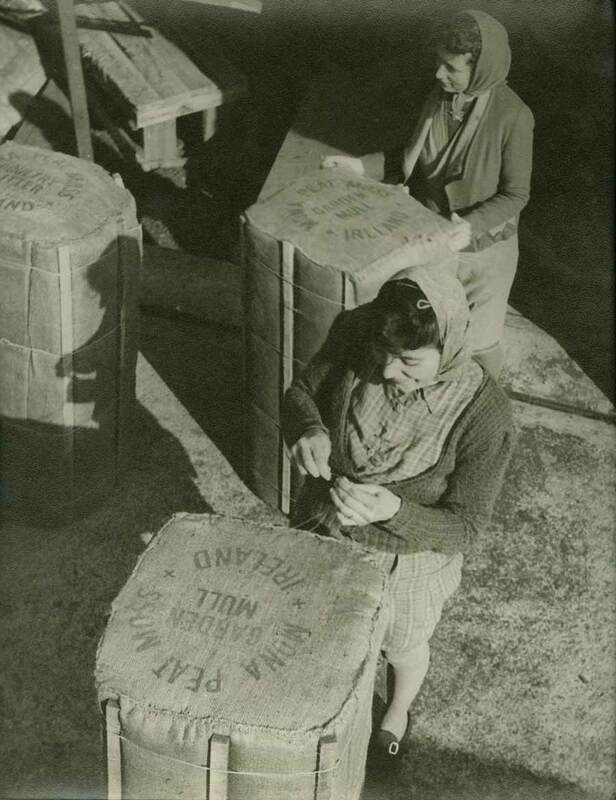 The moss peat bales were sewed at the ends and then exported to the UK and USA. 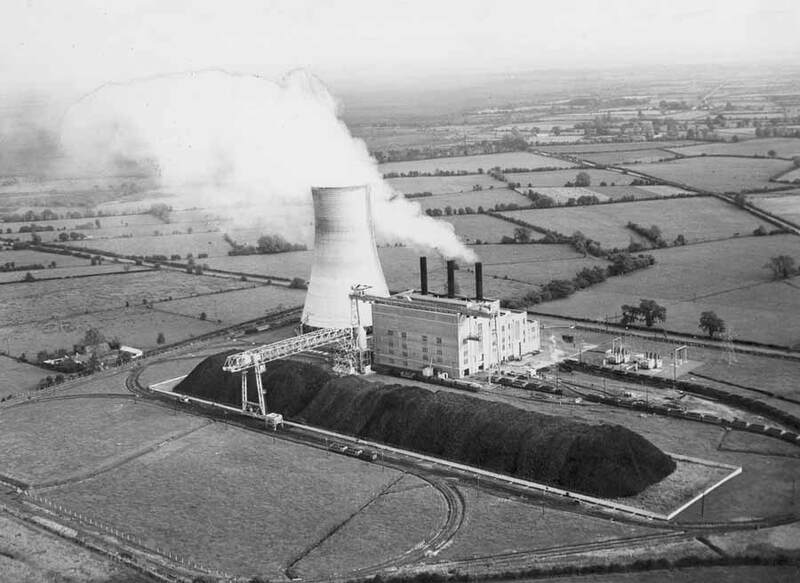 In the 1950’s, Bord na Móna decided that the development of further bog areas for use with electricity generating stations should be based on milled peat. 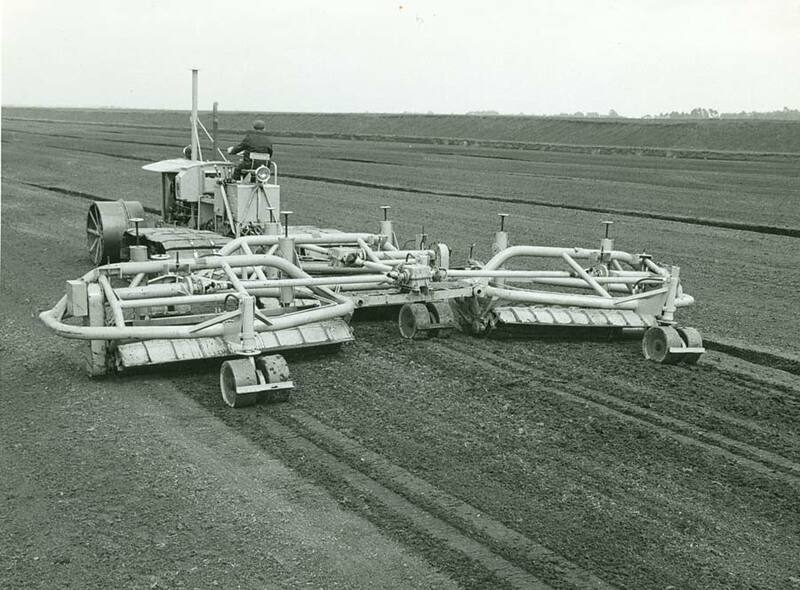 Milled peat production could be fully mechanised, required less labour than machine turf, and cost 30% less to produce. 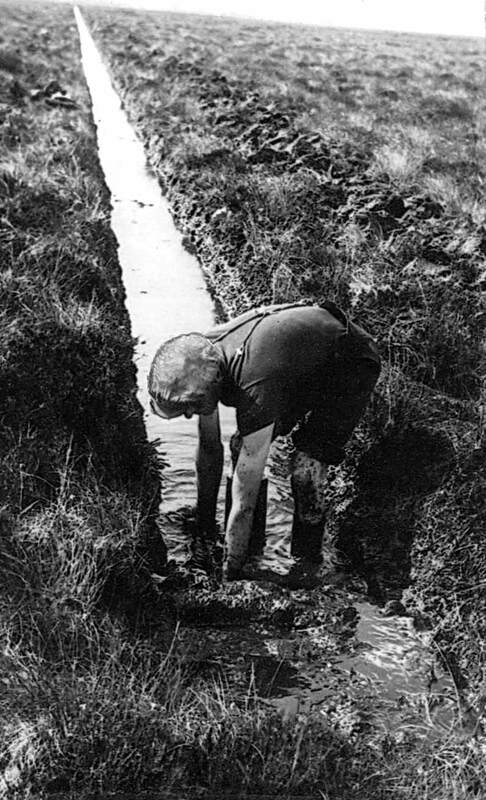 Milled peat production fields are cambered along the drain edges by an offset miller. This is to facilitate the run-off of rainwater from the field. In the milling operation a thin layer of peat, usually 15mm deep, is cut from the surface of the bog and left to air dry over a period of a few days. 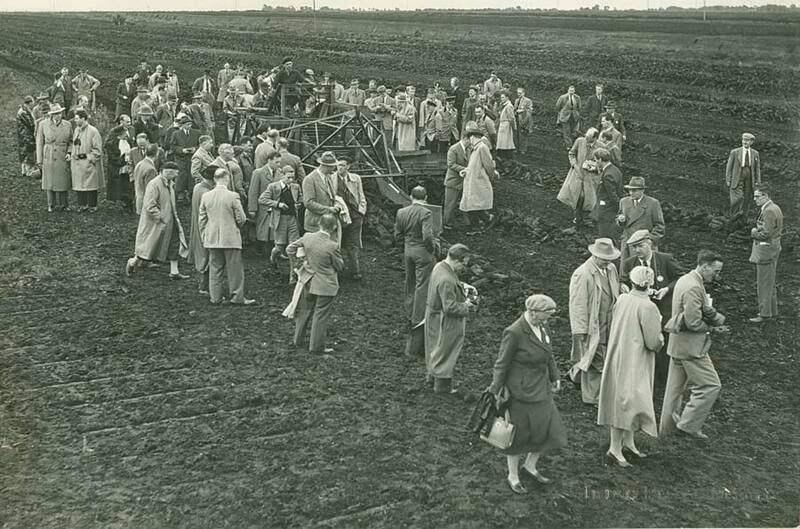 In 1954, Bord na Móna organised the first international peat symposium. 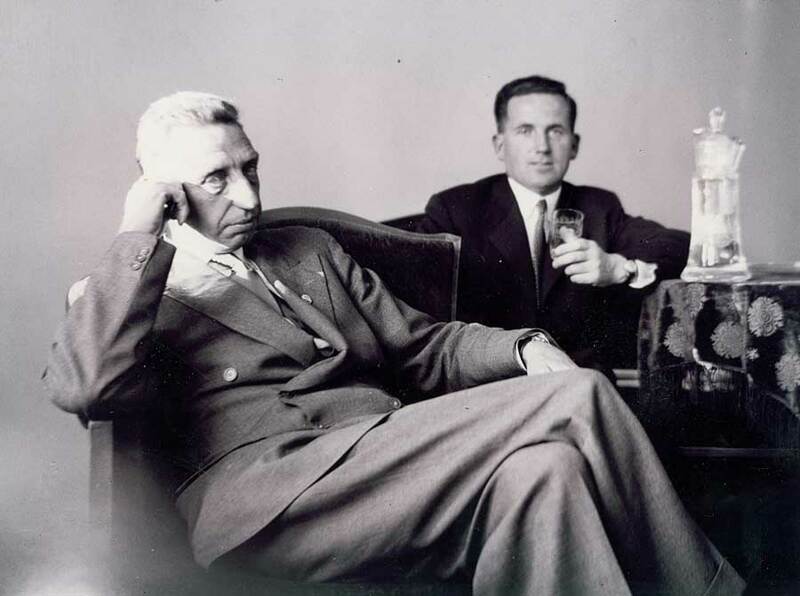 This was a great success and conferred great prestige on the company. 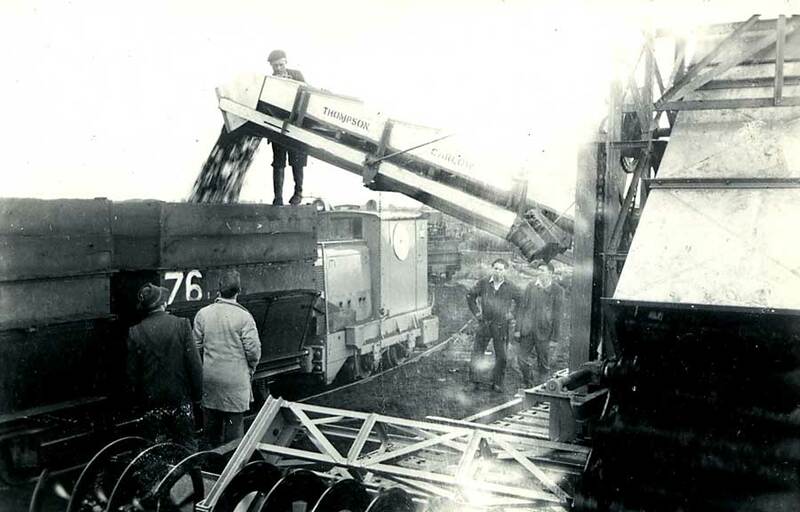 In 1956, a delegation from Bord na Móna visited the Soviet Union and a few weeks later a delegation from Russia visited Bord na Móna. There were widespread protests against the visit. 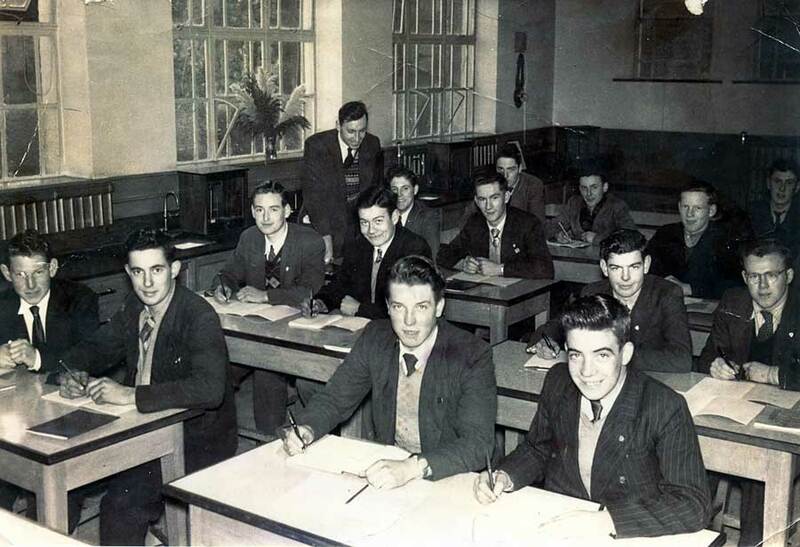 In 1947, the board approved an apprenticeship scheme which was set up in a structured way in the 1950’s.